This course is designed for individuals who are responsible for training Confined Space Entrants and/or Attendants. This course includes the 2 day (16 hour) Confined Space Entry Supervisor/Entrant Course, 1 day (8 hour) Confined Space Rescue course and the 1 day (8 hour) Confined Space Trainer Course. 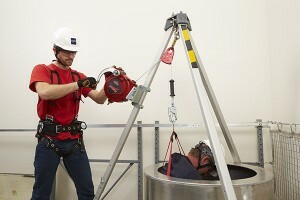 Overview: The Confined Space Trainer course focuses on practical teaching and techniques to instruct coworkers in the basics of working in Confined Space and conducting Confined Space Rescues. This course is a pass/fail program and incorporates extensive classroom and hands-on training. It also incorporates both written and practical examinations that are based on the requirements of OSHA, ANSI and CSA requirements.